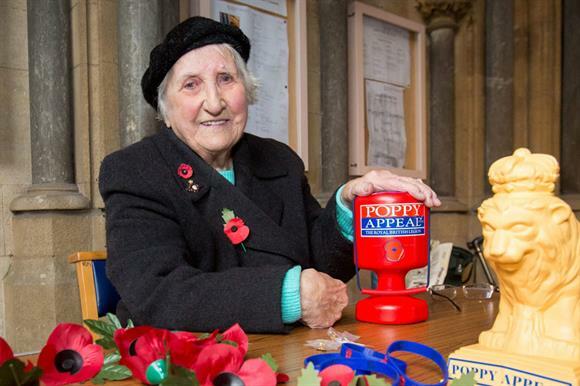 The family of Olive Cooke, the 92-year-old poppy seller who died after receiving a large volume of charity fundraising requests, has said that charities were not to blame for her death. The body of the 92-year-old Cooke, who had been a volunteer poppy seller for 76 years, was found in the Avon Gorge near the Clifton Suspension Bridge in Bristol earlier this month. The Daily Mail newspaper reported that Cooke, who had earlier told her local newspaper that she had received 267 letters from various charities in one month, had "jumped to her death after being hounded by dozens of charities begging for her money", and The Sun made a similar claim. Jessica Dunne, Cooke’s granddaughter, said yesterday her grandmother had left a "beautiful note" explaining the reasons for her death, which were related to depression, a lack of sleep and health issues around being elderly. The reasons had "nothing to do with the charities", said Dunne. "Nan believed that charities are the backbone to our communities, that they can be the scaffolding for us in our times of crisis. She believed that charities give us support, hope and courage when we need it the most. "I think that the amount of contact from charities was starting to escalate and get slightly out of control, and the phone calls were beginning to get intrusive, but there is no blame or suggestion that this was a reason for her death. "She might have had up to 27 direct debits at one point and been a bit exhausted by all the letters, but she had decided which charities she wanted to give to. She had her favourites and was not bumbling along and letting them grow and grow. She was very on the ball with money and gave to charities because she wanted to and could afford to – it was a passion." The Fundraising Standards Board said yesterday that it would launch an investigation into allegations Cooke was overwhelmed by fundraising requests. The Institute of Fundraising has also announced that it will review its Code of Fundraising Practice and guidance in the light of Cooke’s death. Dunne said that charities should be praised for the great work they do, but added that it was good that the "issues" around charities’ fundraising methods appeared to be getting addressed. "The contact from all the charities was a nuisance, but was not a causative factor in my nan’s death," she said.